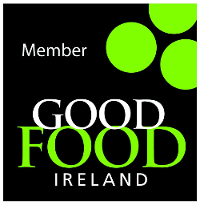 Janet’s Country Fayre are delighted to be part of Bord Bia’s Origin Green Programme. Our sustainability plan was approved and we proudly became verified members in Summer 2016. We put together a snapshot of who we are and what sustainability goals we hope to achieve over the next couple of years. All NPD of tomato based sauces will contain no added sugar or salt and will be gluten free. Packaging supplier to meet 100% of newly established sustainability criteria by 2018. Janet’s Country Fayre is best known as one of Ireland’s leading artisan producers of premium tradition and contemporary chutneys & relishes for both the retail and food service sectors. They also produce Private label products; Sheridans Cheesemongers and Freshways being two of their most creative partnerships. 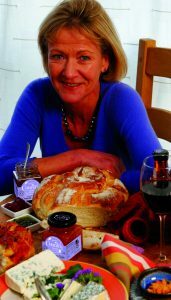 Janet’s passion for preserving Irish Food Heritage began many years ago in the Gate Lodge at Ballinlough Castle, Co. Westmeath, initially going to Farmers markets with her inimitable relishes to establishing Janets Country Fayre in 2007. Janet and her team now operate from a high spec, purpose built production facility at the foot of the Sugarloaf Mountain in Kilcoole, Co. Wicklow. In 2013 the company launched a range of premium pasta and pizza sauces under the brand of Janet’s Just Delicious. Packed full of flavor and perfect coating texture, the range is currently the only one on sale in Ireland with No Added Sugar or Salt, that is also gluten free. Uniquely, all products produced by Janet’s Country Fayre are without additives, preservatives, artificial colorants, bulking or setting agents. As a high quality artisan producer, sustainability is at the core of company activities, where they strive to take a partnership approach in relationships with staff, suppliers, customers, other food producers and the community. The company has always looked to produce products in the most energy efficient manner and, following an energy audit in 2013; recommendations were acted upon by means of a €3,000 investment. A strong and progressive policy on waste management is reflected in the fact that food waste is so minimal; the company is not required to use a brown food waste bin. Origin Green provides a vehicle to enhance the company’s credentials as a producer of high-quality natural products and to grow sustainably as a result. In the area of raw material sourcing, a key milestone is that, by the end of 2016, research will be completed that allows for a sustainability baseline to be established. By the end of 2017, 25% of ingredients will be sourced which comply with this baseline and, by the end of 2018, this will have increased to 50%. In the area of manufacturing, the target is to reduce electricity usage and cost by 10% over a three-year period, with 2015 providing the baseline figure from which the company will track progress. As production levels increase, the company will still aim to keep waste to a minimum as well as maintaining the current low usage level of water throughout the production process. Janet’s Country Fayre’s products are 100% natural with no artificial ingredients, preservatives, flavourings, colourings, additives or stabilisers. All products are suitable for vegetarians and are gluten free. Having developed a range of tasty, healthy, no added salt/sugar sauces the company sponsored the youngest member of the Rio Olympics Irish men’s Hockey team in 2016. CROI the Galway Heart Foundation endorses Janet’s Just Delicious product range of tomato based sauces for their patients. In line with its social values and commitment to the local community, Janet’s Country Fayre has provided onsite placements for UCD food science students, work experience for local students, and mentors local start-up artisan producers. Finally they regularly support local charities and engage with a local charity food initiative. Building on health and wellness trends, a key Origin Green target is to have 100% of Janet’s Just Delicious new tomato based products gluten free with no added sugar or salt. This is a stretch target that will build on the company’s product development experience to date.